We have shipped many of our products overseas for use in Iraq and Afghanistan. We can also ship to European locations. Please call or e-mail for more information. Flow plates are popular in Europe and we offer an affordable heavy-duty version. Pedestrian Friendly & Tough on Tires. Motorized Traffic Spikes for Ultimate Control. Hydraulic Available. 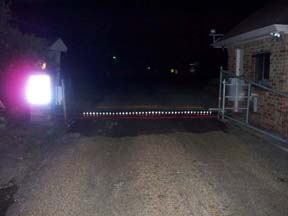 With our Nite-BiteTM reflective spike option, on-coming drivers will definitely see that there is an obstacle in their path. Click image for more info. 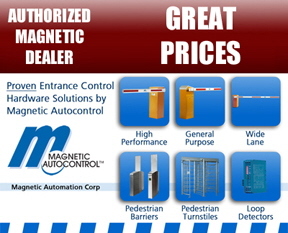 Manufacturing time for most traffic control flow plates and spikes is 4-5 weeks. Some models are stocked in inventory and varies frequently. FlowPlates.com can quickly check inventory status to see if the model you’re interested in is available. Other pages include: PARCS, Surface, Tyre, Solutions, NATO, Sleeping Policeman, Puncture, Alligator Teeth, One-Way, Motorized You’re set. Our North American website: TrafficSpikesUSA.com Tiger Teeth. Feeling patriotic? All content is copyright protected by Monsoon Manufacturing LLC. Nite-BiteTM is a trademark of Monsoon Manufacturing LLC and has a patent pending through provisional patent filed with the United States Patent Office.